The “most wonderful time of the year” deserves equally wonderful scrapbook pages, wouldn’t you agree? 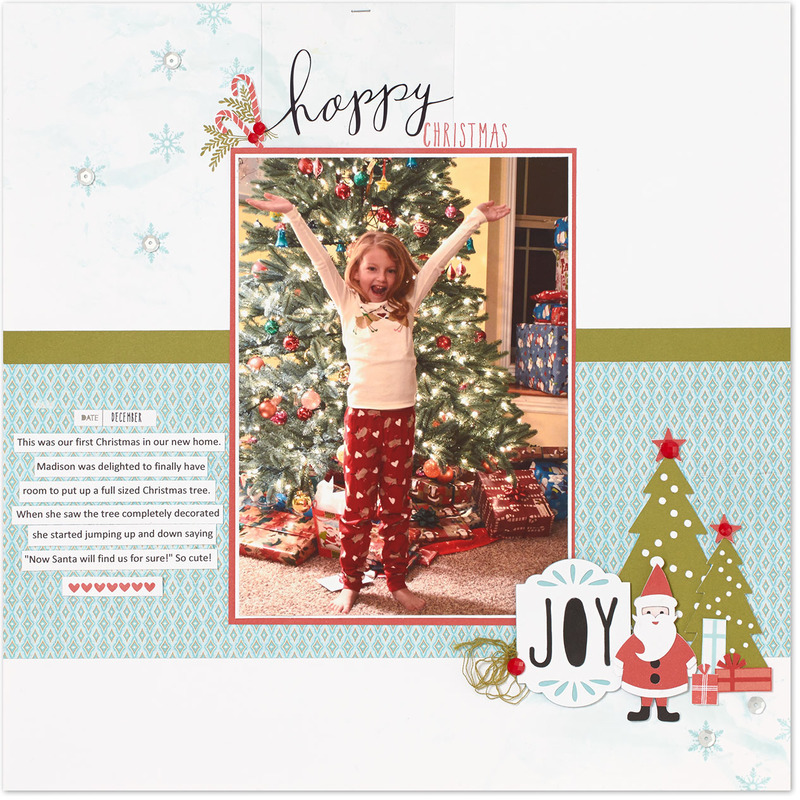 In the spirit of the season, we are sharing four scrapbook pages that show how Cricut® Artistry can make your Christmas memories absolutely magical! First off, let’s have a look at this classy piece: Shapes from the Artistry cartridge add a festive feeling to this page, especially the layered deer head that literally pops right off the page with the help of some 3-D foam tape. The Cricut® Artistry collection also gets credit for those delicate two-toned holly leaves. What other details do we love about this page? We love the calendar card from the Picture My Life™ Through the Year scrapbooking program. 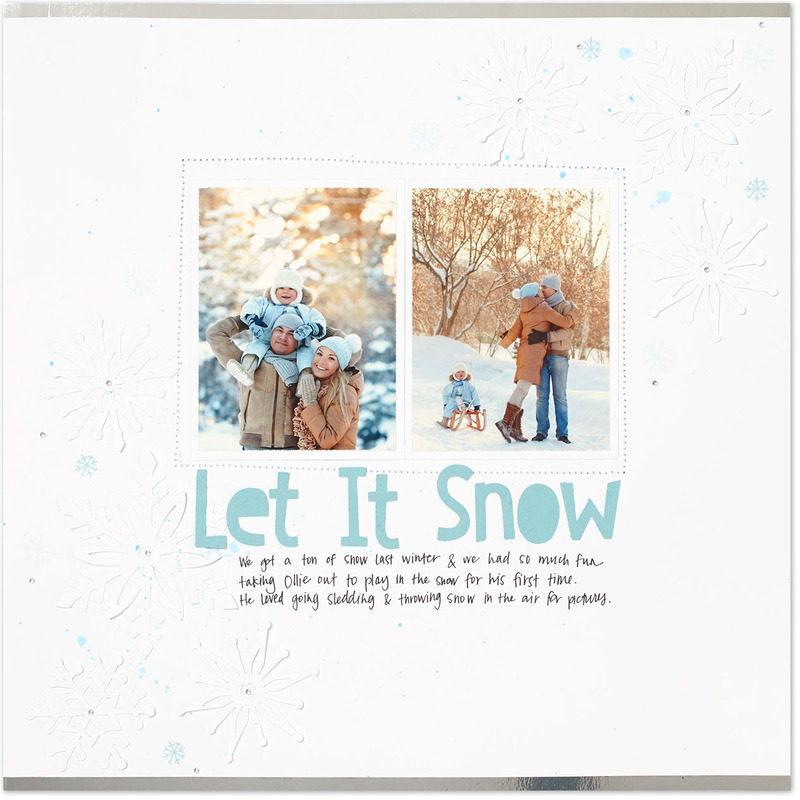 We also love the “joy” sentiment on the bottom-left corner of the page; it was made using white embossing powder, giving it the look of snow in stark contrast to a nighttime sky. Speaking of snow . . . There’s no easier way to cut intricate snowflakes than with your Cricut® Artistry cartridge! With some watercolor paint splatters, mini snowflake stamps, and bitty sparkles, these flakes become something really special. 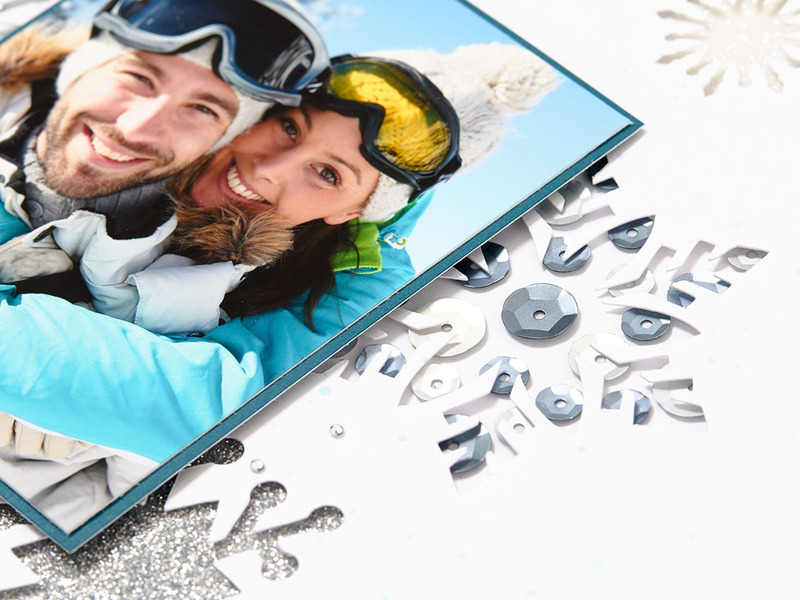 It may seem counterintuitive to put white snowflakes on white cardstock, but you can see it definitely works! 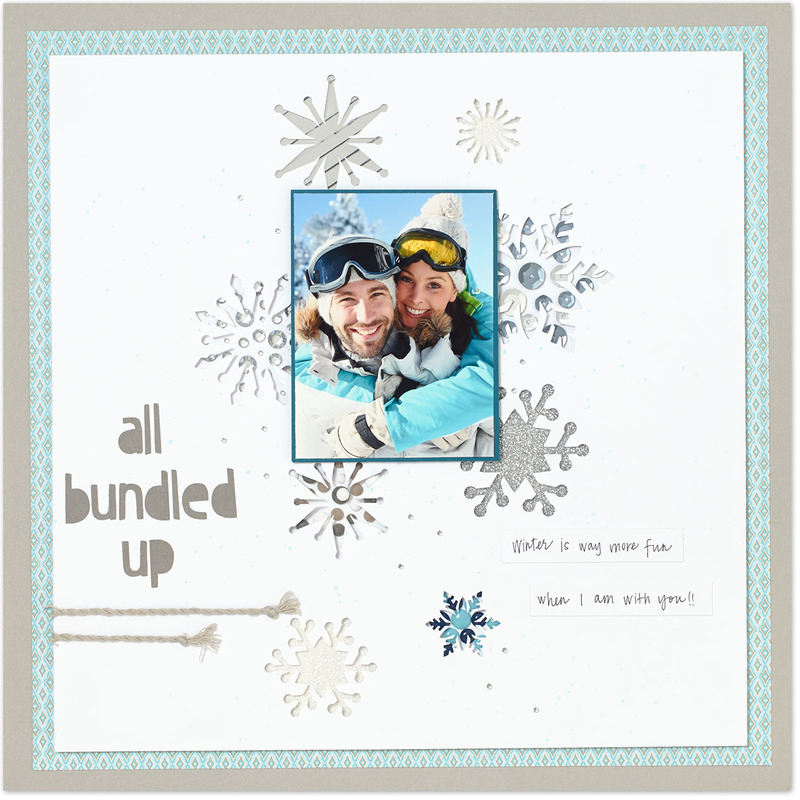 The snowflakes add a subtle background and texture to the cardstock, which has us dreaming of a white Christmas! And since we scrapbookers are all about getting the most out of our papers, we’ve got a clever Cricut® trick for you to try out. After cutting out shapes with your Cricut®, use that sheet of cardstock as an overlay, like in this example: See how the snowflake-shaped spaces become stunning designs on this page? Let’s zoom in on that. Try out all sorts of different backgrounds behind your cutouts. We used white shimmer trim and silver foil tape, in addition to clustered embellishments, to add the wonder to this winter wonderland. When you have all your backgrounds in place, attach the cardstock with the cutouts with 3-D foam tape so it pops. Feeling inspired? Well just wait until you see all the Cricut® magic on this page! You know, we heard Santa Claus was coming to town, so we really went to town with the Cricut® cuts on this page—Santa is made of four different layers of paper! And the trees and “Joy” tag are each made of three layers! What’s great about the Cricut® Artistry collection though is that it makes creating elaborate scenes like this simple and fun. You also get to decide which scenes to create and how to arrange the cuts on the page. The Santa scene pairs perfectly with our White Pines paper, and some watercolors and embellishments really top this page off perfectly. Ready to make your own Christmas masterpiece? Then pull out your Cricut® and put on your thinking cap—or Santa hat—for a day of holiday crafting! Make sure to use the hashtag #cricutartistry when sharing your creations online! Your layouts with snowflakes inspired me to create a Charlotte layout with flowers! Thank you!! !